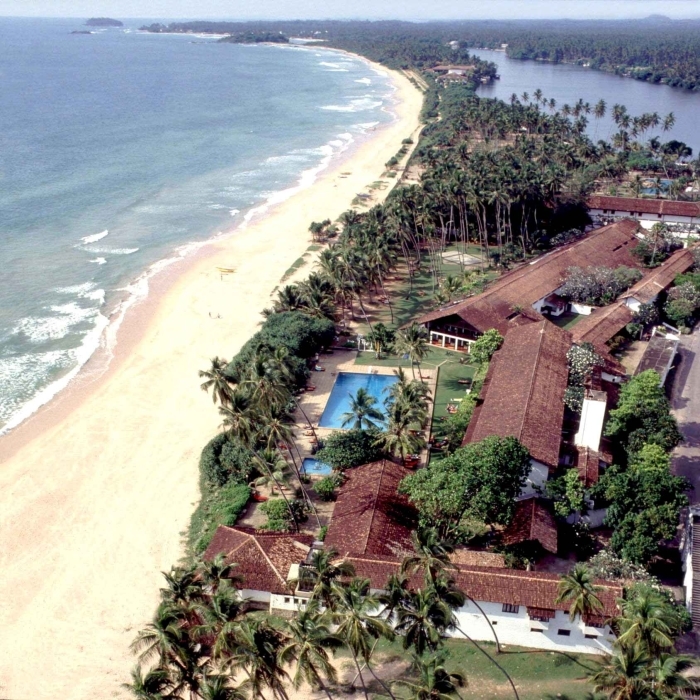 An ideal beach resort built in the serene village of Bentota. The hotel was designed by internationally � acclaimed architect, Geoffrey Bawa to capture the architectural design and ambiance of an 18th century Dutch seaside village. The hotel is built on the beach and it features 72 standard rooms, 14 superior rooms, 2 Deluxe rooms and a Suite which are all fully air-conditioned. It is equipped with modern amenities such as hot / cold water, balcony or terrace, cable TV and telephone with colourful interior d�cor and a spectacular view of the golden sunset. Lay back and cool down in our spacious swimming pool with a special kiddies section. The pool borders the beach, giving you the most calming view of the ocean waves crumbling upon the sand. Our spa will pamper your body and soul with an array of revitalizing treatments for you to choose from, whilst the soothing sound of the ocean will comfort your mind. Our hotel is situated in one of the most spectacular beaches in the South Coast of Sri Lanka which is reputed to have sand as soft as velvet. A 3 km unbroken beach stretch amidst the mangrove fringes is an ideal romantic getaway secluding you from the world outside. 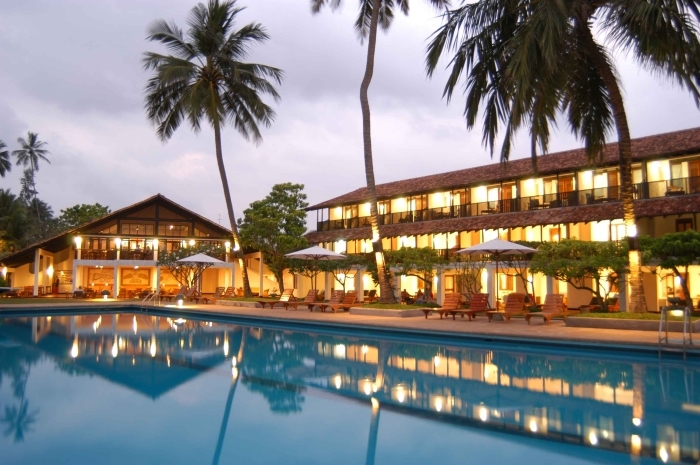 The hotel is located in Bentota, 66 km from Colombo and 99 km from The Bandaranaike International Airport. 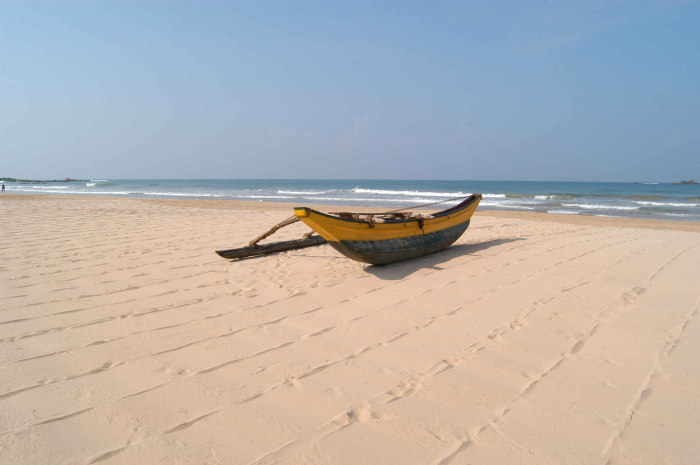 The resort area Bentota is famous for its water sports diving and freshwater rivers. Take the left turn to the Colombo � Nigombo Road, drive towards Colombo. After driving 35 km, you will pass the Kaleniya Bridge and enter Colombo city limits. 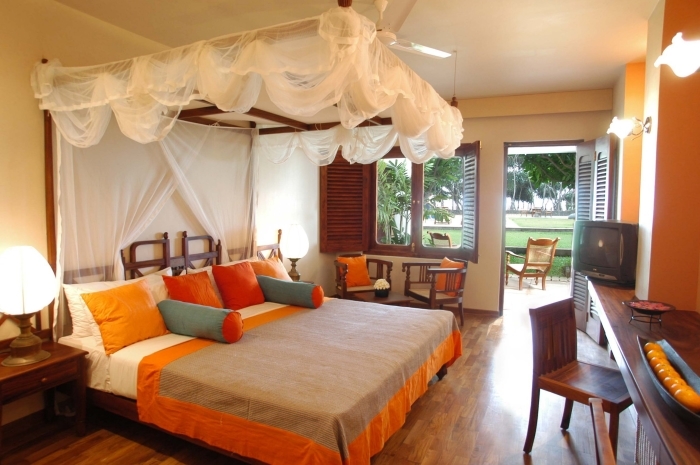 Get on to the Colombo � Galle Road and continue to drive Down-South towards Galle. After 45 km from Colombo you will reach the famous Kaluthera Temple. Passing another 20 km you will reach Alluthgama and will come across two bridges. This will enter you to the Southern Province and the Bentota Town. To the right hand side will be a prominent statue of Buddha and the turn-off to the hotel is just passing the statue onto the same side (right hand side). One full service restaurant with daily breakfast, lunch and dinner buffets. The dinner buffet will be served under a different theme every night, with a tantalizing array of eastern and western cuisines. You can enjoy your scrumptious meals with panoramic view of the hotel garden fading out to the deep blue sea. A separate restaurant / snack bar is also available for a�la carte menu only. This restaurant / snack bar is opened from 10a.m. to 5p.m. over looking the poolside and beach. On special request, fine-dining for couples or groups away from the main dining area, for a romantic or intimate candle lit dinner can be organized. There are four bar areas that include the Dispense Bar in the main Restaurant, Tarshish Bar near the restaurant / snack bar, the Beach Bar near the poolside and the Resident Bar in the first floor with a common balcony that will serve you award winning cocktails.